MLS#: 4867582 - Courtesy of Priority Properties, Inc.
Great home in a great location. Newly painted exterior and interior, gorgeous new laminate hardwood floors on main floor. Great open floor plan with cathedral ceilings, dining area, plenty of cabinet space and counter top space in your kitchen. All appliances including a gas range, refrigerator, microwave, dishwasher and large pantry. Washer and dryer in basement included. Basement is a 3rd bedroom, or add a door and make a flex space AND a 3rd bedroom! New furnace installed 2/18. 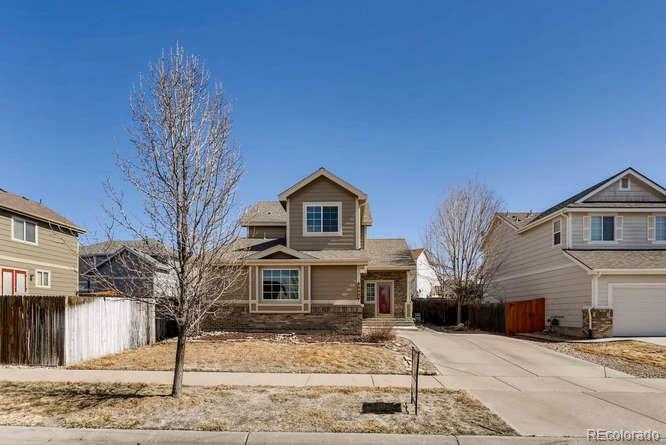 Premier Cherry Creek School District and close to Southlands mall, recreation, reservoirs and parks and open space. This home is move in ready, just bring your groceries and start living. Association Name Primary: East Quincy Highlands Homeowners Association, Inc. Courtesy of Priority Properties, Inc.